FIFA U20 World Cup Top 10 Goalscorers - Some of the best players of all time announced themselves at the U20 World Cup such as Maradone and Lionel Messi. The FIFA U20 World Cup Top 10 Goalscorers list features some of the best players to have played the beautiful game. Formerly known as the FIFA World Youth Championship, the second edition of the tournament in 1979 saw Ramón Díaz and Diego Maradona steer Argentina to their first title. Players from Argentina feature prominently on the list with former Barcelona and Real Madrid striker Javier Saviola number one. Saviola scored 11 goals at the 2001 U20 World Cup in Argentina, guiding his nation to a 3-0 win against Ghana in the final in Buenos Aires. Brazil’s Adailton is next best after scoring 10 goals in the 1997 Malaysia U20 World Cup. Some of the players on the FIFA U20 World Cup top 10 goalscorer list are now household names with others fading into lower league obscurity. Argentina hosted the tournament for the first time in 2001 and didn’t disappoint their supporters by romping to a then record fourth title. Jose Pekerman’s side won all seven matches at the tournament, scoring 27 goals and conceding just four with the catalyst being River Plate striker Javier Saviola who scored an incredible 11 goals in seven matches. Saviola began is scoring spree with a first half hat-trick in the 7-1 victory against Egypt in the group stage, backing it up with a brace in the 5-1 rout over Jamaica. He failed to get on the score sheet in the 2-1 win against China in the round of 16 but returned to scoring ways against France in the quarter-finals. His second hat-trick of the tournament against France matched fellow Argentina striker Ramón Díaz who first achieved two hat-tricks at the 1979 FIFA U-20 World Cup in Japan against Algeria and Indonesia. Argentina cruised past Paraguay in the semi-finals with Saviola bagging another brace in the 5-0 win. Ghana stood no chance against the rampant Albicelestes in the final, Saviola making it 2-0 after Diego Colotto had opened the scoring and Maxi Rodríguez putting the icing on the cake in a comfortable 3-1 victory. It could take a long time before anyone is able to beat Saviola’s record. FC Barcelona snapped up his services from River Plate following the tournament before loan spells at Monaco and Sevilla. He moved to Spanish rivals Real Madrid on a free transfer in 2009 before plying his trade at Benfica, Malaga, Olympiakos, Hellas Verona and his beloved River Plate. Saviola won league titles in Spain, Portugal and Greece and the 2005/06 UEFA Cup with Sevilla before ending his career by helping River Plate claim the 2015 Copa Libertadores. Brazil’s Adaílton Martins Bolzan was the star at the 1997 FIFA U20 World Cup in Malaysia but he couldn’t prevent his nation exiting the tournament in the quarter-finals. A 2-0 defeat against eventual winners and South American rivals Argentina was a bitter pill to swallow. Brazil cruised through the group stage with a 3-0 win against France where Adaílton scored his first goal. The striker bagged a brace in the 2-0 win against South Africa before achieving a feat that may never be matched. Brazil crushed Korea Republic 10-3 at Sarawak Kuching with Adaílton scoring a rare double hat-trick - six goals with strikes in the 30th, 32nd, 35th, 39th, 63rd and 69th minutes. A 10-0 win against Belgium followed in the round of 16 where he scored his 10th goal of the tournament, but unfortunately that’s where it would end. Argentina proved too strong in the quarter-finals and the Brazilians would have to wait until 2003 to win the tournament with victory in at the 1995 FIFA U20 World Cup in Qatar. It was still an impressive showing from Adaílton who notched 10 goals in five games. All in all he scored 24 goals in 19 matches for the U20 side but never played for the Brazil senior team. Adaílton moved from Brazilian club Guarani to Italy where he had spells with Parma, Hellas Verona, Genoa, Bologna and two years at Romanian club Vaslui before ending his career with boyhood club Juventude. It could be said he never fulfilled that early promise, his only honour of note was as Serie B runner-up with Bologna in 2007/08 which got the club promoted to Serie A.
Ramón Díaz was playing for River Plate when he burst onto the national scene in at the 1979 FIFA World Youth Championship in Japan. Argentina’s first match was an easy 5-0 win against Indonesia with Díaz scoring a hat-trick and Diego Maradona bagging a brace. Díaz didn’t score in the 1-0 win against Yugoslavia and came off the bench in the next match against Poland. Argentina were 3-1 up in the 55th minute when he was introduced, he didn’t score but did enough to earn a start in the round of 16 clash against Algeria. He made it count by scoring his second hat-trick of the tournament in an easy 5-0 win, taking his tournament tally to six goals. Nothing could stop him or Argentina from then on, Díaz opening the scoring in the 2-0 semi-final against Uruguay before putting his nation 2-1 up against Soviet Union in the final. Maradona scored to make it 3-1 not long after as Argentina won their first title. Díaz went on to have a distinguished career, moving from Rivet Playe to Italy where he played for Napoli, Avellino, Fiorentina and Internazionale before spells at Monaco and back to Brazil with River Plate. He finished his playing career at Japanese club Yokohama Marinos where he scored 52 goals in 75 appearances. Known by the nickname of El Pelado ("Baldy"), Díaz became River Plate manager in 1995 before taking charge at Oxford United, San Lorenzo, Club América, San Lorenzo, Independiente, River Plate, Paraguay, Al-Hilal, Al-Ittihad and club Pyramids FC. As a player he won the 1988/89 Serie A title at Internazionale and a Coupe de France title at Monaco in 1990/91 but had more success as a manager. Díaz guided River Plate to victory in the 1996 Copa Libertadores after winning six Primera División Argentina titles with his junior club. 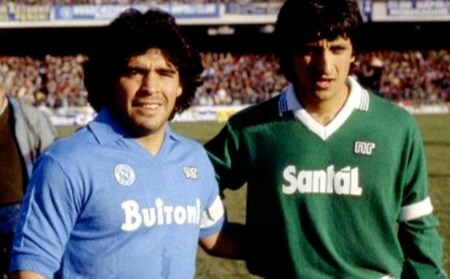 Ramon Diaz would reunite with Maradona as opponents in Serie A with Avellino and Napoli respectively. Ghana striker Dominic Adiyiah had a memorable tournament in at the FIFA 2009 U20 World Cup Egypt, scoring eight goals to claim the Golden Ball and Golden Shoe awards. He took his nation all the way to the final where they upset Brazil to claim their first U20 World Cup title. Playing for Norweigan club Fredrikstad FK in 2009, Adiyiah scored for Ghana in the 2-1 win against Uzbekistan before bagging a brace in an upset 4-0 win against England. He failed to add to his tally as Ghana then secured a 2-2 draw against Uruguay to secure top spot in Group D on goal difference. The round of 16 clash against South Africa was a tense affair that went to extra time after finishing 1-1. Adiyiah scored in the 99th minute and backed it up against South Korea in the quarter-finals, scoring goals in the 8th and 78th minute to help his nation advance to the semi-finals where they were paired against Hungary. Adiyiah couldn’t be stopped, scoring twice in the first half as Ghana advanced to the final. Not many gave the Africans a chance against Brazil at the Cairo International Stadium on 16 October 2009 but they pulled off a major shock. The match ended 0-0 after extra time, Adiyiah scoring a vital penalty in the shootout as Ghana celebrated an unlikely title. AC Milan took a chance on the striker not long after in a €1.40 million deal but never played for the club. Loan spells at Reggina, Partizan, Karşıyaka and Arsenal Kyiv followed before the Ukraine club made the deal permanent. He then moved to Kazakhstan club Atyrau before being signed by Thailand club Nakhon Ratchasima where he scored 19 goals in 96 appearances. Sisaket was his next club in Thailand and it’s safe to say Adiyiah never fulfilled that early promise. Marcel Witeczek was born in Poland but played for West Germany where he finished as top scorer at the 1987 FIFA World Youth Championship in Chile. Witeczek scored seven goals but couldn’t help his nation win the tournament, a heartbreaking penalty shootout defeat in the final against Yugoslavia a cruel way to go out. The Bayer Uerdingen player scored in the 3-0 win against Saudi Arabia, bagged a brace in the 3-0 win against Bulgaria and opened the scoring in the 2-1 win against United States. He couldn’t add to his tally against Scotland in the quarter-finals as the West Germans went through on penalties. Witeczek was back among the goals against Chile in the semi-finals, scoring the final two goals in a 4-0 win. The 1987 FIFA World Youth Championship Final at Nacional Santiago De Chile on 25 October 1987 was a match to remember but not for West Germany. Zvonimir Boban put Yugoslavia 1-0 up in the 85th minute but Witeczek scored a penalty two minutes later to equalise. The match went to extra time and a penalty shootout where Witeczek missed his team’s first spot kick, Yugoslavia went a perfect five from five to lift the trophy. Witeczek was signed by 1. FC Kaiserslautern in 1991 before earning a €2.5 million move to Bayern Munich where he played from 1993 to 1997. Six years at Borussia Mönchengladbach followed before finishing his career at SG Wattenscheid 09 and FC 07 Albstadt. Witeczek won all his trophies at Bayern Munich, lifting the 1993/94 and 1996/97 Bundesliga titles and the 1995/96 UEFA Cup. Witeczek never played for the senior national side. Joseba Etxeberria was born in Gipuzkoa in the Basque country and came to prominence at the 1995 FIFA World Youth Championship in Qatar. The winger scored seven goals for Spain as they finished fourth. Etxeberria came off the bench in the opening game against Burundi and scored two goals in the 5-1 win. Earning a start in the next match against Japan, he was substituted off in the 60th minute as La Roja won 2-1. Manager Goiko kept faith in the Real Sociedad player in the final group game against Chile, he responded with the opening two goals as Spain won an entertaining match 6-3 in Doha. The quarter-final clash against Russia was even better as Etxeberria scored a a hat-trick in a 4-1 win. Spain's campaign faltered at the semi-final stage against Argentina in a 3-0 defeat with Etxeberria taken off in the 58th minute. The match for third place saw Spain play Portugal which was looking good at half-time with Spain 2-0 up. Etxeberria replaced Fernando Morientes at the break but it was a match to forget for him and his nation. Portugal scored three unanswered goals to win 3-2. He moved from Real Sociedad to Basque rivals Athletic Bilbao after the tournament in a controversial transfer that cost over €3 million and caused a rift between both clubs. At the time it was the highest transfer fee paid for an under-18 player in Spanish football. Etxeberria would spend the next 15 years as player in Bilbao and make 445 appearances before retiring in 2010. Exteberria earned 53 caps for Spain, representing his nation at the 1998 FIFA World Cup and two UEFA European Championships in 2000 and 2004. He began an unspectacular coaching after hanging up his boots, managing Athletic Bilbao youth sides, Basconia, Amorebieta and Tenerife. Geovani Faria da Silva was an unknown player at the 1983 FIFA World Youth Championship in Mexico, but many would know his name after helping Brazil win the trophy for the first time. The midfielder top scored with six goals and was elected the best player of the tournament. Geovani scored a goal in each group stage match as Brazil drew 1-1 against Netherlands, before beating Nigeria 3-0 and Soviet Union 2-1. He continued his scoring form with two goals in the 4-1 win against Czechoslovakia in the quarter-finals. Geovani was unable to score in Brazil’s 2-1 semi-final win against Korea Republic but bounced back in a big way in the final. 110,000 spectators packed the Estadio Azteca in Mexico City as the Seleção defeated arch rivals Argentina 1-0 courtesy of Geovani’s 39th minute strike. Vasco da Gama purchased Geovani shortly after the tournament where he would become famous playing alongside Romário and Roberto Dinamite. He had an interesting club career with spells at Bologna FC, Karlsruher SC, Tigres de la UANL, Desportiva Capixaba, Linhares, Serra FC, Desportiva Capixaba, Rio Branco and Tupy. He played 24 times for the senior Brazil side, winning a silver medal at the 1988 Summer Olympics and winning the CONMEBOL Copa América in 1989. Few had heard of Lionel Messi before the 2005 FIFA World Youth Championship in Netherlands but much has changed since then. The maestro scored six goals to guide his nation to their fifth title and announce himself on the world stage with the best player and top scorer awards. Argentina’s campaign got off to a rough start with a 1-0 defeat against United States. Messi was introduced off the bench at half-time by manager Francisco Ferraro which was the start of something special. Messi started against Egypt and scored the opening goal in a 2-0 win before failing to score in the 1-0 win against Germany. Messi came alive in the knockout rounds, scoring the opener in the 2-1 win against Colombia before scoring the final goal in a 3-1 victory against Spain in the quarter-finals. The Barcelona youngster continued to get it done, scoring first as Argentina got past Brazil 2-1 in the semi-finals. The 2005 FIFA U20 World Cup Final was held at the Stadion Galgenwaard in Utrecht on 2 July which was the Messi show. He scored penalties in the 40th and 75th minutes, enough to earn a 2-1 win against Nigeria that secured yet another title for the South Americans. He would go on to make over 100 appearances for the senior team but success has thus far eluded him. Messi's international career has been littered with disappointments including a FIFA World Cup runner-up medal in 2014 against Germany, and three heartbreaks in the Copa América with runner-up medals in 2007, 2015 and 2016. Lionel Messi is undoubtedly a household name and widely regarded as one of, if not the best player of all time. His trophy cabinet is bulging with La Liga titles, Cope del Rey titles, UEFA Champions League tophies, UEFA Super Cup trophies and FIFA Club World Cups. Messi was also crowned FIFA Ballon d'Or winner in 2009, 2010, 2011, 2012 and 2015. Sergio Agüero was a member of the 2005 U20 World Cup winning squad and won the penalty that secured victory in the final. He had big boots to fill in 2007 but duly delivered by scoring six goals, winning the Golden Shoe award as tournament top scorer as Argentina went back to back to claim their sixth title. Agüero had already been signed by Spanish club Atlético Madrid from Independiente before the tournament kicked off. He had become the youngest player to play in the Argentine Primera División at 15 years and 35 days, breaking the record previously held by Diego Maradona in 1976. Argentina completely dominated Czech Republic in their opening match at the 2007 FIFA U20 World Cup in Canada that ended 0-0. Argentina bounced back and Agüero scored two goals in a 6-0 rout of Panama and he followed up with the winning goal in the 1-0 win against Korea DPR. He added another two goals to his tally in the 3-1 round of 16 win against Poland, but was unable to keep his run going as Argentina got past Mexico 1-0 in the quarter-finals. Agüero also failed to score in the 3-0 semi-final win against Chile but would make his mark in the final. Czech Republic were the opponents once again and took a surprising lead at the National Soccer Stadium in Toronto. Agüero hit back minutes later and Mauro Zarate scored the winner as Argentina secured their sixth title. 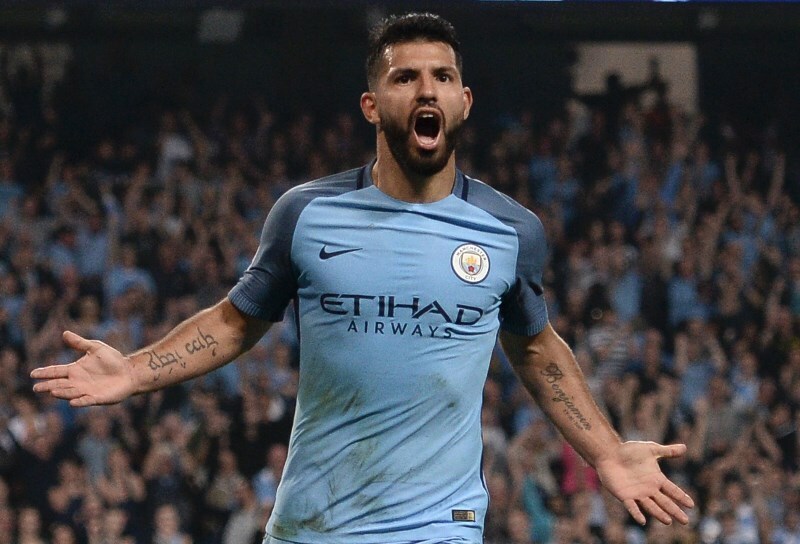 Agüero moved to Premier League club Manchester City in July 2011 for €40 million, becoming a club hero after scoring a 94th-minute winner against Queens Park Rangers that earned City its first league title in 44 years. He has gone on to win a number of trophies and individual awards, becoming Manchester City's all-time highest goal-scorer with his 178th City goal against Napoli in November 2017. Ebenezer Assifuah is the second Ghana player on the list after finishing top scorer at the 2013 U20 World Cup in Turkey. He led the African nation to a third place after they were eliminated in the semi-finals. It was a fortunate progression for Ghana who lost their opening matches 3-1 against France and 1-0 against Spain. Despite those defeats, Ghana defeated United States 4-1 in their final group stage match with Assifuah bagging a brace. It was enough for Ghana to progress as one of the best four third-placed teams. They faced Portugal in the round of 16 and emerged victorious 3-2 despite Assifuah failing to score. Chile were their next opponents in the quarter-finals where they won an action packed match 4-3. Assifuah scored to make it 2-2 with the match going to extra time where Chile took a 3-2 lead. Ghana fought back however, Assifuah scoring the winner in the 121st minute with the last kick of the game. France were waiting in the semi-finals and Assifuah was on target once again, but it wasn’t enough as Florian Thauvin’s brace put France through to the final where they won their first title. Ghana met Iraq in the match for third place where they won 3-0 and Assifuah scored his sixth goal of the tournament to win the Golden Shoe. Plying his trade in Ghana with Liberty Professionals Accra at the time, Assifuah moved to Swiss side FC Sion before switching to French club Le Havre AC in 2017. He made only one appearance for the Ghana senior side, an Africa Cup of Nations qualification match on 27 March 2016.